This was our second try at the classic Betty Crocker recipe. I was moving slow all weekend and never got to putting this in the crock pot, so AJ starting this when he got home on a Monday night. I had a hunch it would be better with him doing the prep work, and I was right! He’s much better at mixing spices, etc than I am, and certainly more liberal with the improvising. I am learning from him! While still at work, I got this text from him, dinner was on…! 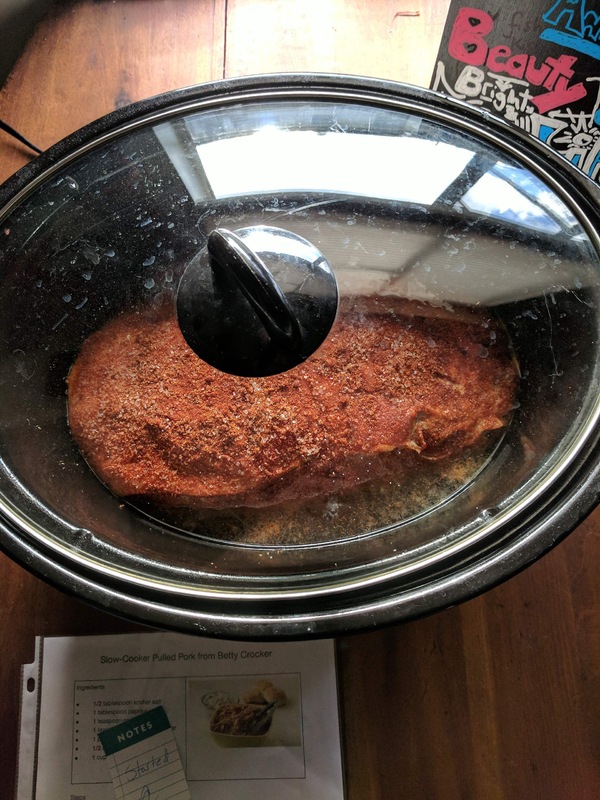 Five hours later, it was time to pull the pork. Last time, I removed it from the juices before pulling. This time, I actually read the instructions and left it in the pot and pulled. It was late, so it went straight to the fridge to be divided into meals the next day. Man, it smelled so good! 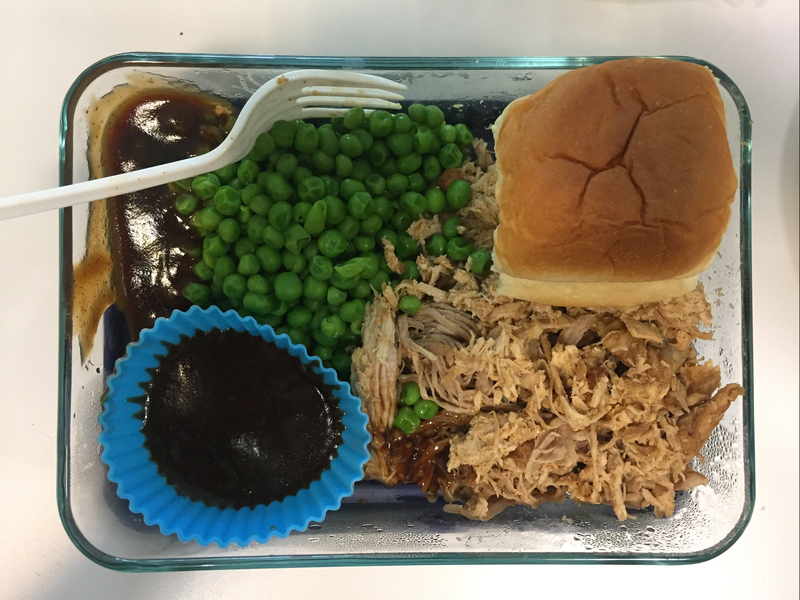 Lunch the next day was paired with BBQ sauce (we each have our own favorite), Peas and Hawaiian bread. The result: SO YUMMY!! This was a totally home run for us both. 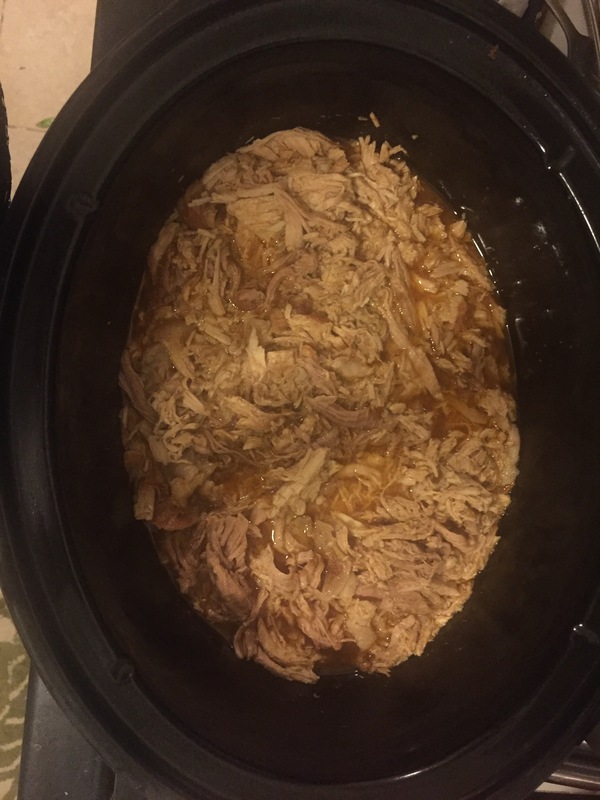 This was a 3-4 lb pork roast, and should last 6-7 meals. Nice! You can find the recipe and try it here.